We just talked about how Koizumi-san made lots of irrational demands all the way from Super Mario 64 to The Legend of Zelda: Ocarina of Time, but to go back to the beginning, Super Mario Bros. came out (in Japan) in September of 1985 and The Legend of Zelda came out immediately afterward in February 1986. I feel like Super Mario Bros. and The Legend of Zelda are often made as a pair. The challenge with the Nintendo 64 system was to turn those two titles into 3D. 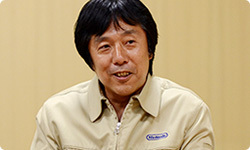 Koizumi-san, I think you were the person closest to Miyamoto-san during development then. What was on your mind? I do think they are often made in pairs. They both fell into the category of “3D open-world action games.” I didn’t really see the difference between them. If you were to state the difference, it would be how The Legend of Zelda is the one you don’t press a button to jump in. Even when it comes to that, you had to press a button to jump when we first started making The Legend of Zelda: Ocarina of Time. At first, it didn’t have auto jump. That’s right. There was no way we could take jumping out of a Super Mario. Bros. game, but when we actually tried making Super Mario 64, the action hurdle was a high one. For example, if you tried to beat an enemy in front of you, the axes weren’t aligned, so it was hard. Yes, that’s right. When I was at HAL Laboratory thinking about how we could make the Kirby series for the Nintendo 64 system, we wrestled with that. Oh, yes. (laughs) As we were making Super Mario 64, we were thinking about The Legend of Zelda the whole time, and started talking about decreasing the action element in The Legend of Zelda and increasing the puzzle elements. You were thinking about them both at the same time. Yes. Even as I was making Super Mario 64, I would write down memos of what I wanted to achieve with The Legend of Zelda. Then when I started making The Legend of Zelda: Ocarina of Time, I whipped out those memos and consulted them. What kinds of things had you written down? All kinds of things, like battles using a sword and battling lots of enemies. The Super Mario 64 project had passed by incredibly quickly, so a lot that I wanted had gone undone and I wanted to pour all those leftover ideas into The Legend of Zelda: Ocarina of Time. In the end, The Legend of Zelda: Ocarina of Time eventually became a massive project that mobilised nearly everyone who belonged to EAD at that time, but how many people did you start with? Before Koizumi-san joined, (Jin) Ikeda-san6 and I started it just the two of us! 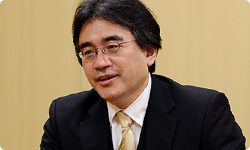 6Jin Ikeda: Software Development & Design Department , Software Planning & Development Division, Nintendo. He worked on character design for The Legend of Zelda: Ocarina of Time. Koizumi-san, you were still working on Super Mario 64 then, weren’t you? Oh, so you joined after finishing Super Mario 64. Osawa-san, how did you become involved in development of The Legend of Zelda: Ocarina of Time? But it’s definitely worth it, right? Since I was working at Nintendo, The Legend of Zelda was a title I wanted to work on at least once. Luckily, that opportunity had come along, so I put my hand right up. But before we became involved, (Takao) Shimizu-san7 made a chanbara (sword fighting) demo video. 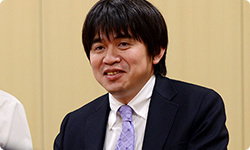 7Takao Shimizu: Tokyo Software Development Department, Entertainment Analysis & Development Division, Nintendo. He directed Star Fox 64 and later worked on numerous titles, including Super Mario Sunshine and Super Mario Galaxy. Oh, that’s right. If I remember correctly, the demo video we showed at the E38 in 1996. 8E3 (Electronic Entertainment Expo): A video game trade show usually held once a year in Los Angeles. Was that other work Star Fox 64?9 9Star Fox 64: A 3D shooting game released for the Nintendo 64 system in Japan in April 1997. Released in Europe under the name Lylat Wars. Yeah. So I took it over, and Shimizu-san told me some things he wanted me to do. He wanted me to make a Legend of Zelda game with chanbara-style action. When people talk about The Legend of Zelda: Ocarina of Time, they mention various things like an epic story, solving puzzles, trotting across a gigantic field on a horse and how cool Link is, but it began with the single theme of making a Legend of Zelda game that included chanbara-style swashbuckling! Yes. I started writing the script with chanbara at the front of my mind. Then Koizumi-san joined us, and there were three of us. It was true of Shimizu-san as well, but I really liked Zelda II: The Adventure of Link 10. 10Zelda II: The Adventure of Link: An action-adventure game released in Japan for the Family Computer Disk System in January 1987. So much that you wanted to make it yourself? Yeah. You might say that, but before Super Mario 64, I had actually been making Zelda II: The Adventure of Link in polygons with Miyamoto-san. Before Super Mario 64... You mean for the Super Famicom System? Yes. We were experimenting with a thin, polygon Link seen from the side and fighting with his sword. Chanbara was a pending issue at the time. We couldn’t really bring Zelda II: The Adventure of Link into form at that time, but I kept that desire to achieve a sword-fighting Legend of Zelda game until I joined this team. So a Legend of Zelda game with chanbara action had been a theme for quite some time. As you joined the staff as the third member, what did you work on first? Yeah. He wanted to make it a first-person game. Oh, he wanted to make an FPS (first-person shooter). Right. In the beginning, he had the image that you are at first walking around in first-person, and when an enemy appeared, the screen would switch, Link would appear, and the battle would unfold from a side-on perspective. It was said that making one character and making all the backgrounds carried an equal burden with the Nintendo 64 system. Yes. And from my experience making Super Mario 64, I knew that displaying a character constantly running around on a large field would be incredibly difficult. But - while it wasn’t very nice of me toward Miyamoto-san - I didn’t try a first-person scene even once!